If you’ve been out of work for quite some time, consider using some of these strategies to de-emphasize employment gaps. Although you may have become social media savvy, a makeover for your Facebook page may be in order to usher in the next stage of your career. The new timeline design provides a great opportunity to make the right first impression. If you’re a recent grad, or you have one in your life, here are a few quick tips that will provide a competitive edge and make the job search process more fruitful. So what does this mean to you and your success path? If you’re a “play it safe” kind of person, how can you learn to love failure? How can we dilusional safe seekers become dream-fulfilling risk takers? To help graduating college students start their careers off right, I offer these five tips designed to bring success in finding that first job and making sure it’s something that will make them happy for years to come. Guest Blog: Message to Fellow Parents – I Used To Be Dirt. Now I’m Beach Sand. Guest Blogger Jo Ann Dearden shares important pivot points – good and bad – that have marked her relationship with her daughter. Many parents of teenagers and young adults will recognize this story. As many of us do when facing a new year, we make resolutions to better our lives in some manner. As it seems many of these resolutions revolve around getting in shape I thought, in the spirit shedding some excess, I’d discuss some strategies for losing a couple of notches on your financial belt. Year after year, many people resolve to fix the same old problem. Why? What gets in the way of achieving goals, satisfying your resolution and making lasting change? Labels, Illusions, Excuses and Stories or LIES™ – limiting thoughts, beliefs and feelings that determine the range of choices you believe you have. Do You Reflect Before You Make A Resolution? …before you set about working on your 2011 New Year’s Resolutions, stop for a moment. Reflect on your experience of 2010 and acknowledge what you accomplished. 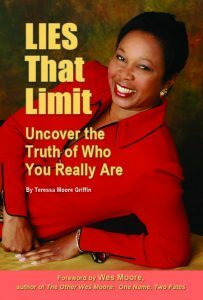 “LIES That Limit: Uncover the Truth of Who You Really Are” Is Now Available! You’re walking a wonderful new path of financial self-awareness and responsibility. You’ve taken two very important steps on this journey. Guest Blogger Steven Girard is back with the next steps that will empower you with a new perspective on reaching your goals.